pneumatic rubber wheels for easy and quiet movement. CHOOSE YOUR PERFECT GIFT HERE! We present the latest Dynamic Woods creation — new lightweight, colourful and stylish Model-Y! With this comfortable in use and amazing in appearance model, your little rider would definitely fall in love with active-bike lifestyle. Grown-ups would appreciate Model-Y as it is easy to carry, lightweight, has an ergonomic shape and can be precisely adjusted to your kids height and skills. 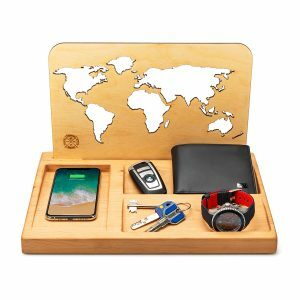 Friends could show their taste with sophisticated customized handmade gift. 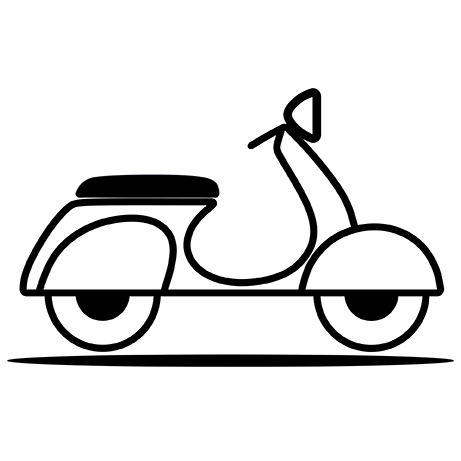 Order personal engraving on a front panel with the name, wishing text, pic of a favourite hero or number. Make sure to give unique presents to your special ones! 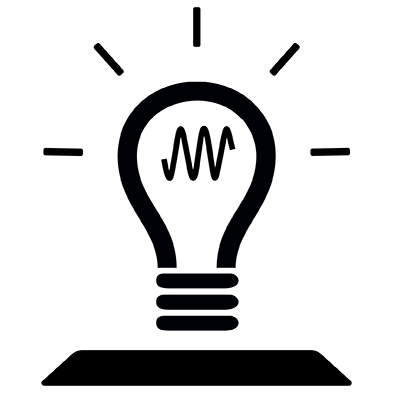 Leave a phone number and our consultant will solve all the questions on ordering. 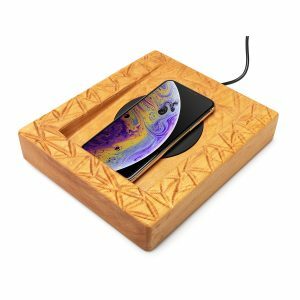 Compact and stylish wooden wireless QI charger will be a perfect solution for internal problem: “WHAT TO GIVE AS A PRESENT?…” even for the most sophisticated person! In the office, at home, on reception or bar – organizer Dynamic Woods will perfectly suit each interior. Provides quick and safe wireless charging, so that you won’t need to find plugue or cables for your device or worry about it’s battery. 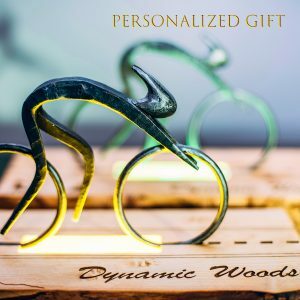 To make this gift even more unique order additional personal engraving or application with alcantara/carbon. What are you supposed to get someone, who’s about to have literally everything? What to get a person, who knows what style is? The problem of making right present for a special one is not that easy to solve. 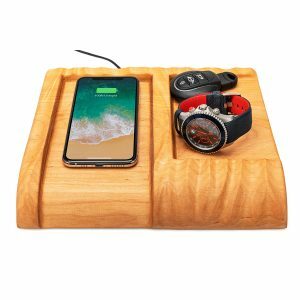 Dynamic woods presents new, sophisticated wooden organizer with wireless charger! Honestly, how often did you try to find your keys, especially in the morning when time was scheduled by minutes? How many times you had to come back home for your forgotten portmone or other “little” things? 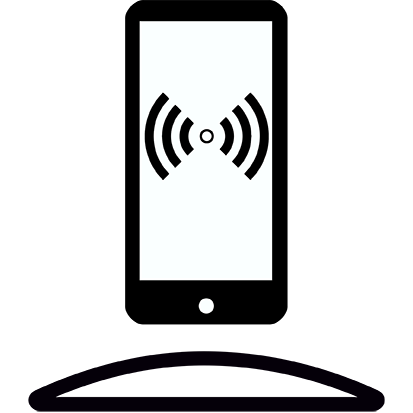 Big wireless charger-organizer will help you to collect all important things in one place! there is no more need to find a plugue or a charger – just leave your device on organizer and never worry about its battery! 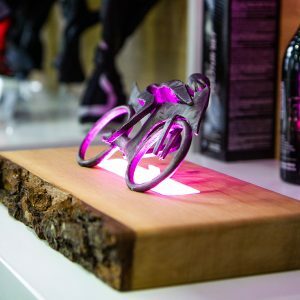 LED lamp Motorcyclist would be a perfect present for those who are inspired by Superbike World Championship! To make this lamp even more unique it can be easily personalized with writings and special design at any side of it’s wooden base and/or wooden box. This unusual lighting light strikes from the first sight by its dynamic. It is bright, full of drive, life and internal energy! Blacksmiths hammer out each Motorbiker BMW sculpture individually. 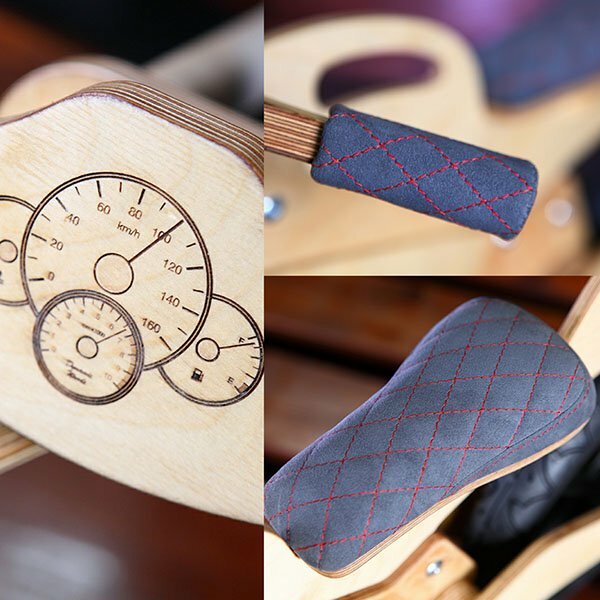 The range of products for children’s leisure, made of natural materials, is much wider: run bikes, scooters, tricycles, tolocars, pedal cars, balancers and others. A runbike successfully combines characteristics of bicycle and scooter, suitable for all children up to six years old. Steering a feet-driven runbike is an easy and exciting task, even for the smallest kids. Want to see a real toddler’s rally? Just let them try a runbike! Our runbikes bring joy and happiness, develop coordination skills and train body muscles. Plus all that dynamic exercises take place in the fresh air! Definitely, these mental and physical trainings will positively impact on the mood of your kid. Also, we highly recommend you to check the list of other Dynamic Woods products, made of pure wood or wooden sub-products. 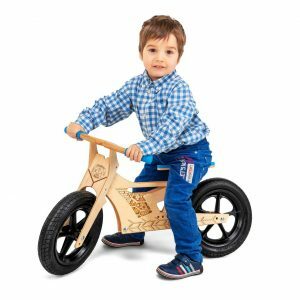 Wooden runbikes, rockers, and other dynamic toys will gently help your child to explore characteristics of natural materials and grow in a harmony with environment. Wooden toys would be a perfect entertainment during outdoor activities, a source of positive emotions and new experience.